#1: I come by my status as a Trekkie honestly. I remember begging my parents to let me stay up Friday nights to watch Star Trek (to be referred from now on as TOS=The Original Series) during its original run. And yes, I am that old. And like most folks during the 70’s and 80’s I stayed up late weeknights here in New York, as Channel 11 faithfully reran TOS Monday to Friday back to back with Honeymooners reruns. 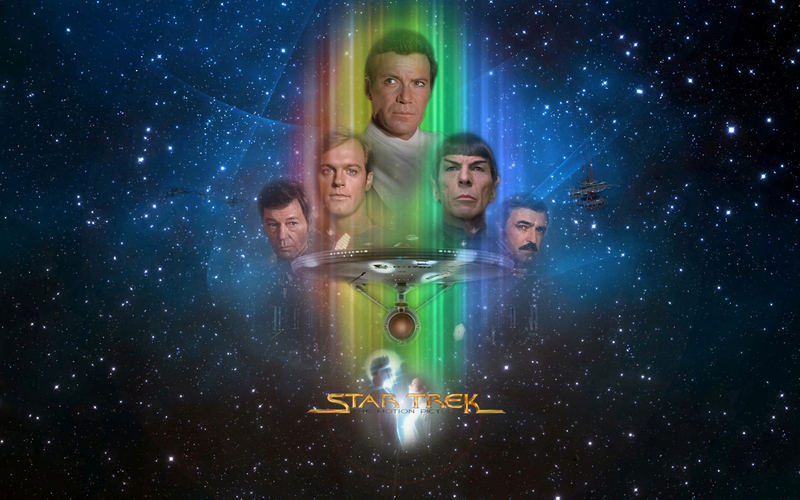 #2: I have seen every episode of TOS as well as STAR TREK: The Next Generation, STAR TREK: DEEP SPACE NINE, STAR TREK: VOYAGER and STAR TREK: ENTERPRISE multiple times. Do not even seek to dispute me on this. #3: My favorite Star Trek is STAR TREK: DEEP SPACE NINE. It’s my favorite because like Sean Connery’s James Bond, TOS is so iconic it should be put on a shelf by itself and not compared with the various series that followed. #4: At a conservative estimate I would say I’ve read in the neighborhood of 100 Star Trek novels. #5: STAR TREK: THE MOTION PICTURE is the last movie I would give to somebody who knows nothing about Star Trek and wants to understand what it is that their Trekkie friends find so fantastic about Star Trek that they just don’t understand. I know it’s hard for those of you Star Trek fans today to understand now that you have five Star Trek series, eleven movies and Sarek only knows how many comic book series and mini-series and novelizations and original novels and fan fiction. But for us back in 1979 this is all we had. Word. I wouldn’t lie to you. 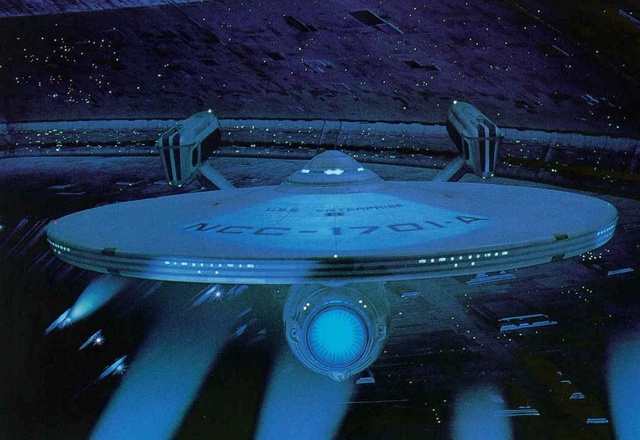 Is STAR TREK: THE MOTION PICTURE the best Star Trek movie? Absolutely not. That title has to go to “Star Trek: The Wrath of Khan” which even after 30 years is still the best Star Trek movie made to date. But for those of us who had gone without any new Star Trek on television for 10 years, a feature film version of our beloved TV show was akin to an affirmation that a God did indeed exist. And maybe you don’t think we got the Star Trek movie we deserved back in 1979 but we thought we did and for a lot of us that’s all that matters, even today. An incredibly powerful alien entity is heading directly toward Earth. It’s already encountered the Klingons and kicked their asses back to Qo’nos without breaking a sweat. The entity calls itself V’ger and says it has one mission: “To learn all that is learnable and transmit that information to The Creator.” V’ger insists that The Creator is on Earth. But nobody on Earth has the intelligence or knowledge to have created something like V’ger. It’s a frighteningly huge bio-organic machine that has actually digitized whole star systems to contain within its cosmic data base to enhance its already universal knowledge. Nobody knows what it’s intentions are once it reaches Earth. 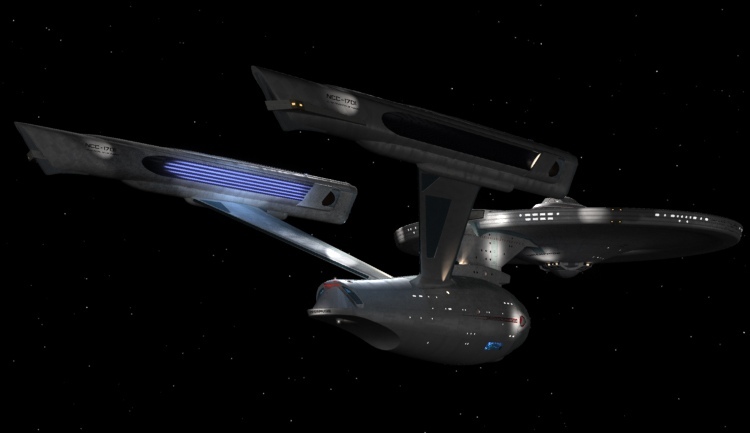 The only starship that can intercept V’ger before it reaches Earth is The Enterprise. Now, right here I could go into a whole 10K word dissertation about how Starfleet must be really low on starships since just about every plot of a Star Trek movie hinges on the Enterprise being the only starship within range of whatever threat is going to destroy Earth but I won’t. Just go with it. Admiral James T. Kirk (William Shatner) does some back door maneuvering to screw his protégé Captain William Deckard (Stephen Collins) out of command of The Enterprise. Kirk claims his expertise in handling alien intelligences during the five-year mission of The Enterprise qualifies him to deal with V’ger. It also helps that most of his former crew such as Chief of Engineering/ Commander Scott (James Doohan) Commander Uhura ( Nichelle Nichols) Chief of Security/Operations Chevok (Walter Konig) Nurse and now Dr. Chapel (Majel Barrett) as well as Helmsman Sulu (George Takei) are still assigned to The Enterprise. But still Kirk can’t undertake this mission without his conscience Dr. Leonard ‘Bones’ McCoy (DeForest Kelley) and his spare brain Mr. Spock (Leonard Nimoy) Along the way they all grapple with Existential Issues such as what is the Nature of Existence? and Is This All That I Am, Is There Nothing More? And yeah, they have to figure out how this all relates to V’ger before it destroys Earth. The whole movie boils down to a battle not between laser blasts and planet-destroying Death Stars but between Ideas. Ideas such as what it means to transcend the concepts of what we are what we can be. On the other hand, it’s a lot of what we watch the folks on the screen we’re watching telling us what the stuff they’re watching means. 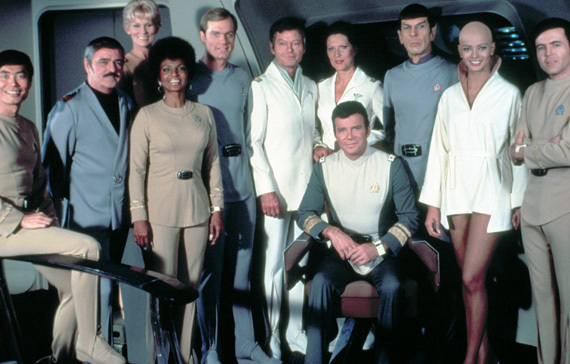 To be bluntly honest, STAR TREK: THE MOTION PICTURE is the two-hour series finale to TOS that we never got on TV. But I like it a lot. In fact, I love it. But I wouldn’t recommend it to anybody except long-term Star Trek fans. It is a ponderous movie that needs to have a knowledge of Star Trek history and a reverence for the time honored characters in order to enjoy it. And you’re not going to be able to do that unless you know the characters as well or as better as you know your beloved relatives. If you have any. When I talk about STAR TREK: THE MOTION PICTURE I tend to talk about moments like when Kirk has to tell Starfleet Command he’s lost two crewmen in a transporter malfunction. Or when Kirk and Scotty share a laugh during the infamous fly-by scene. Or when a crewman slips between a pair of closing doors on his way to do whatever. Or when Dr. McCoy refuses to beam up. Or when after The Enterprise has successfully achieved warp drive Kirk give Chekov a secret wink. Or how amazing Nichelle Nichols looks even that terrible costume. When Dr. McCoy in a crucial moment refers to an Enterprise security officer by name and not his rank. Bottom line: I like STAR TREK: THE MOTION PICTURE. It’s in my Home Movie Library and I watch it regularly. It gave me exactly what I wanted at the time I saw it. Which is to see all these characters I love back again in a brand new adventure in the medium in which I first saw them. Know what? I don’t care. It’s STAR TREK and that’s good enough for me.